The DIY Podcast topic module about fitness explains that space station crew members use treadmill exercises to maintain bone mass, cardiovascular fitness and muscle endurance. The device that’s mentioned and demonstrated is the Treadmill Vibration Isolation System, or TVIS. Now, a new treadmill to go along with TVIS has been added to the station, and you may want to include it in your classroom’s podcast about fitness. 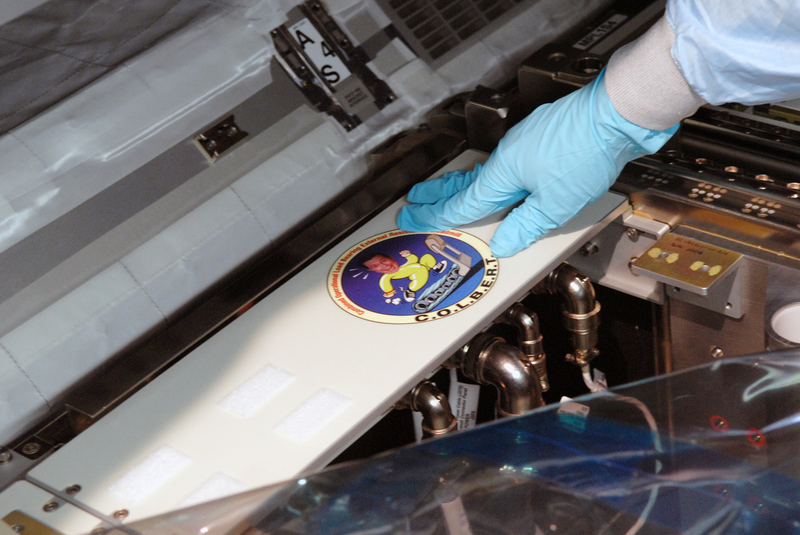 COLBERT, the world’s most famous treadmill, was transferred to the station in September during the STS-128 shuttle mission. 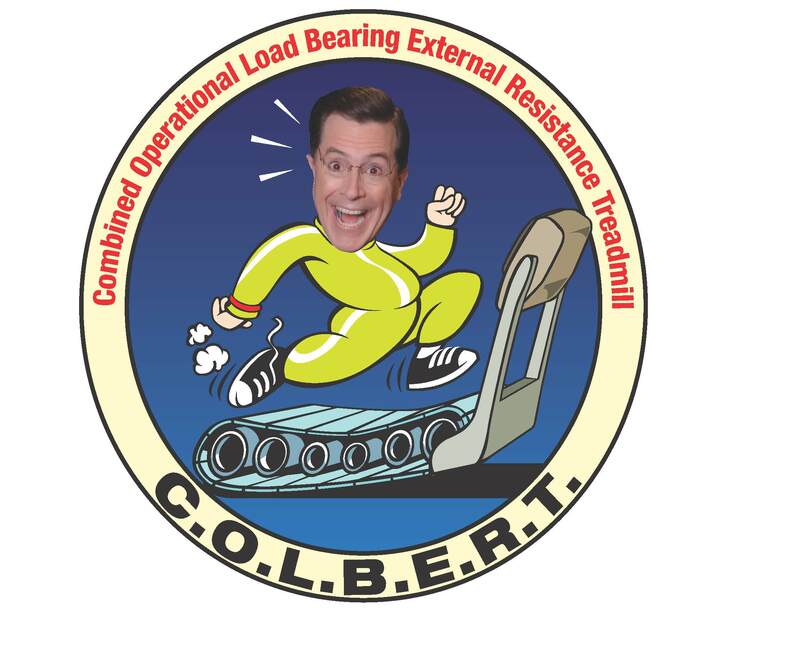 The Combined Operational Load Bearing External Resistance Treadmill, or COLBERT, is named after Comedy Central’s Stephen Colbert of “The Colbert Report.” NASA chose the acronym COLBERT after the television comedian received the most votes in an online NASA poll to name a space station node. NASA opted to name the node Tranquility, but named the treadmill after Colbert. COLBERT (the treadmill, not the comedian) has a maximum speed of 12.4 mph, which is faster than the Olympic 100 meter race record. Crew members usually run about 4 to 8 mph. The COLBERT design allows ground experts tracking crew health in orbit to create individual exercise prescriptions and uplink them to the crew as a profile. The following links to images, video and background information will be helpful if your students want to include COLBERT in their fitness production. That is almost twice as fast as the COLBERT treatmill. (26.2 miles) / (124 minutes) = 12.6774194 miles / (1 hour) which is still faster than the COLBERT treadmill. Why chose a treadmill instead of something that works the upper body too, like a rowing machine or elliptical with magnetic resistance? I have read that these machines are better for fitness and improving muscle mass and bone density.